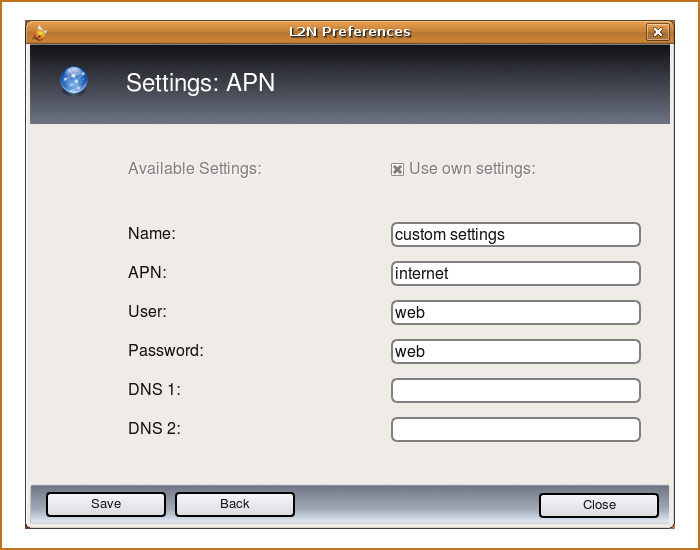 launch2net for Ubuntu Linux is a professional mobile Internet Connection Manager for Ubuntu 8.10 and 9.04 users. launch2net will recognize your type of modem or ExpressCard as well as the SIM card and does not need intricate driver installations or configurations. The clean GUI displays the most important information at a glance, like network information, signal strength, online time and data throuput. A well arranged statistic window delivers detailed information about the online time and data consumption of each connection in addition to the modem type used. An icon in the task bar offers access to the most important functions of launch2net for Ubuntu Linux. Simle to use: No long searches for modem drivers or connection settings. launch2net gets you online simple and fast with a few clicks. 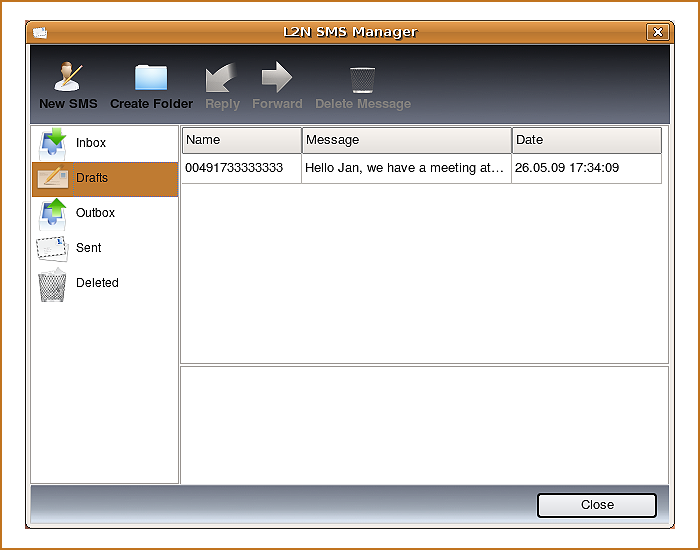 Impressive SMS text message manger: From now on you can use launch2net to send, receive and manage your SMS text messages with support of multipart and multigroup messages. Does this allow me to use my Blackberry as a tethered modem? In answer to above question. There are no blackberry models listed in the hardware support list. Perhaps you could email them and request it. I would think sending / receving sms from a laptop via a blackberry has appeal as well. I have Huawei E1550 usb modem. How can I make it work with this software. I don’t really understand why this software is here beyond its SMS capability. The built in support for mobile broadband in Ubuntu Jaunty is pretty good and picks up most UTMS/3G modems. It doesn’t and won’t cost a penny in future. Any modems that don’t work out of the box with Network Manager probably won’t work with L2N either as there are devices the kernel doesn’t know about yet and also other devices that require switching from “storage” mode. To get such devices to work you may have to use the generic usb_serial kernel module or usb_modeswitch (to switch from storage mode) or, in my case, write a udev rule to eject the device (which automatically takes it out of storage mode). 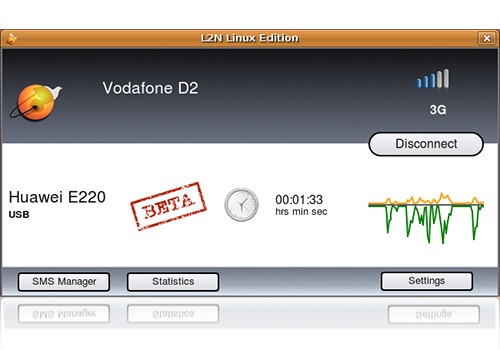 After connecting the second USB-Icon225-Stick after a few days, you’ll get confronted with the message “Dear customer, please buy the full version of L2N Linux Edition”, refusing any connection…!!! That’s not the clean way of trying to put up a business! Any chance they’ll release a version that supports ubuntu karmic(9.10)? Is this tool measurably BETTER than the infamous Network Manager? Please say yes. I am soo tired of that broken piece of ill-behaved trash. I tried to install the packages for interpid and jaunty on lucid but they failed. Any solutions for get the ‘Icon XY’ modem working? Thanks.